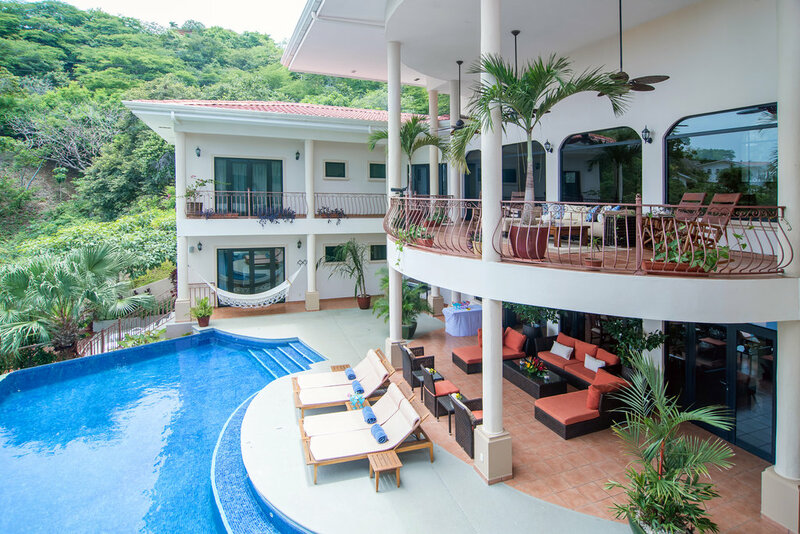 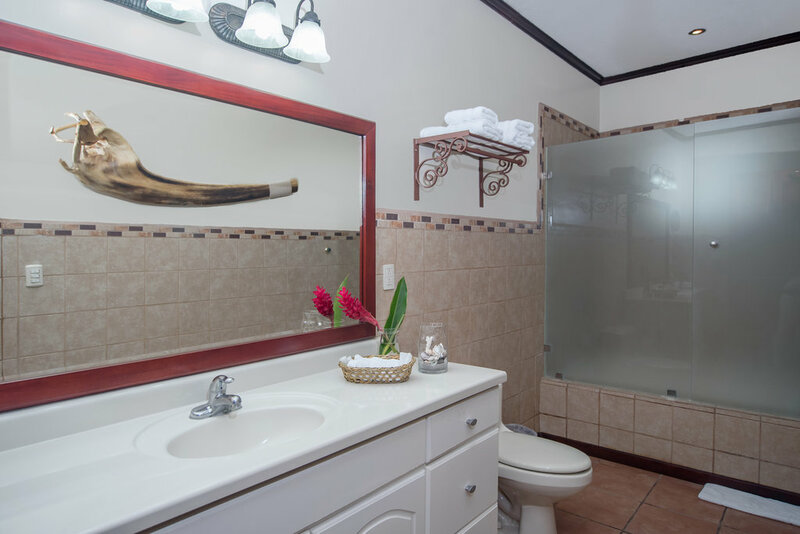 Exteriores - Costa Rica all inclusive. 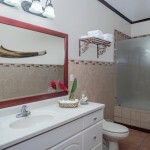 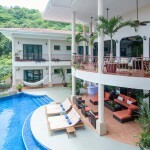 Villa Preciosa Resort.Costa Rica all inclusive. 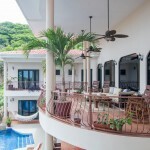 Villa Preciosa Resort. 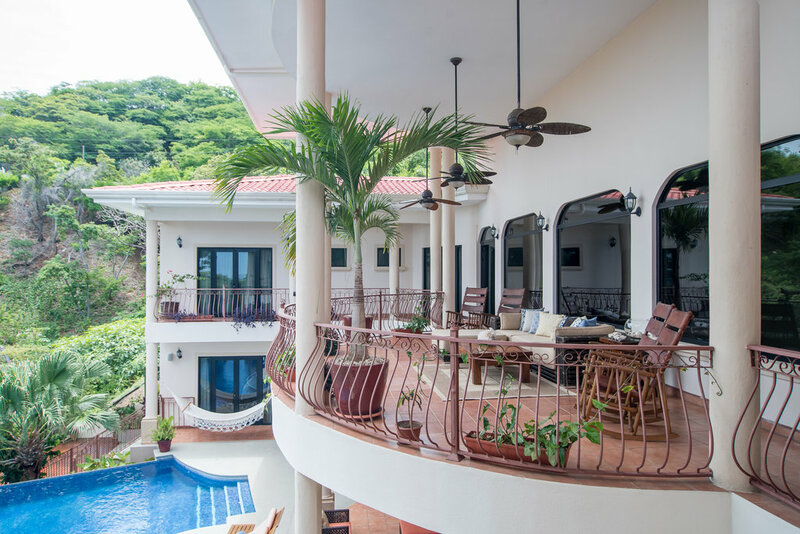 Villa Presiosa grounds are surrounded by trees and tropical plants, which attract many species of birds, monkeys and reptiles. 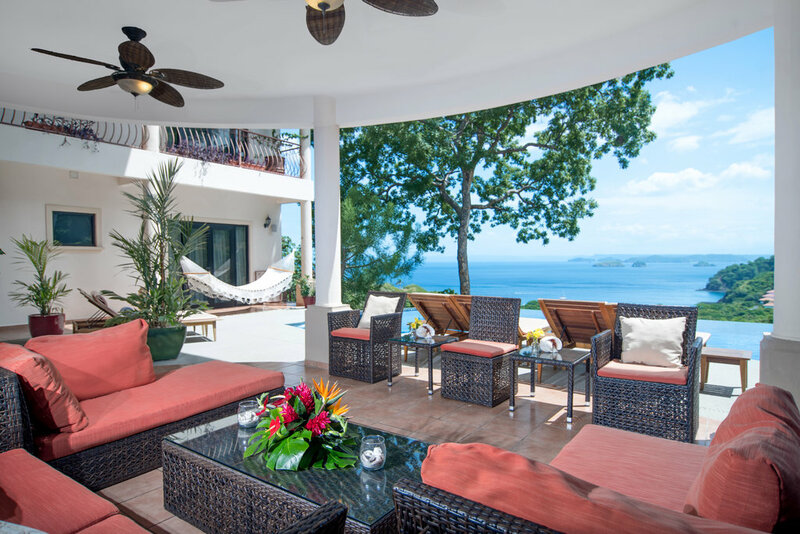 One can enjoy a peaceful adventure walk on trails through the private forest of the Villa. 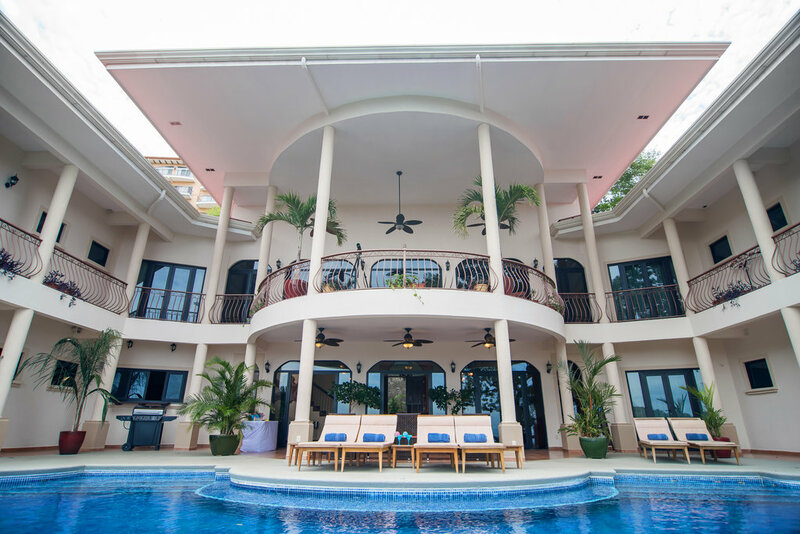 This beautiful Villa is an architectural gem embedded in a pristine outdoor landscape surrounding the property. 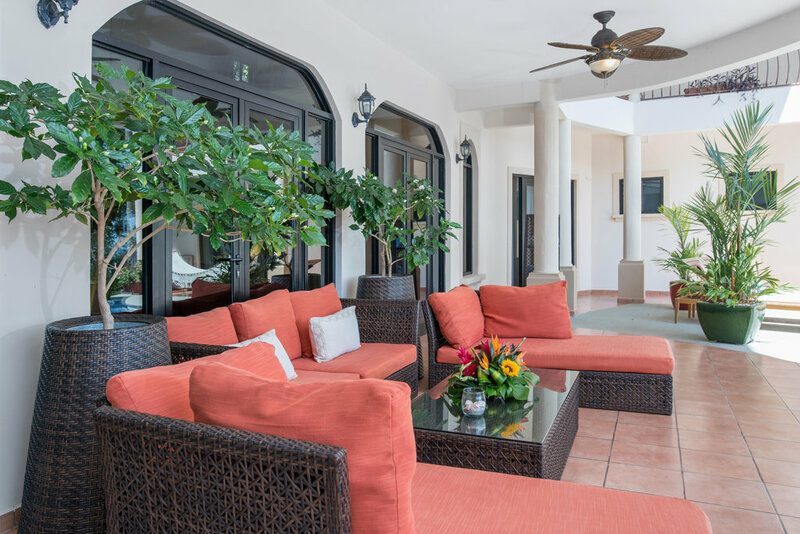 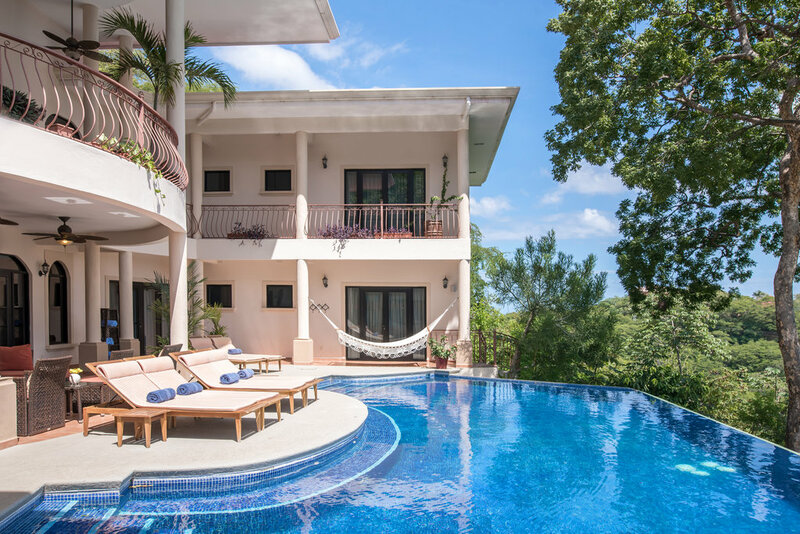 The outdoor living spaces, which include the two covered terraces, a large aerial wooden deck are phenomenal places to relax and enjoy the sights and sounds of the tropical wildlife surrounding the Villa. 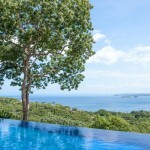 Take pleasure on a property over 7,700 square meters, approximately 2¨ acres for guests to enjoy in complete privacy. 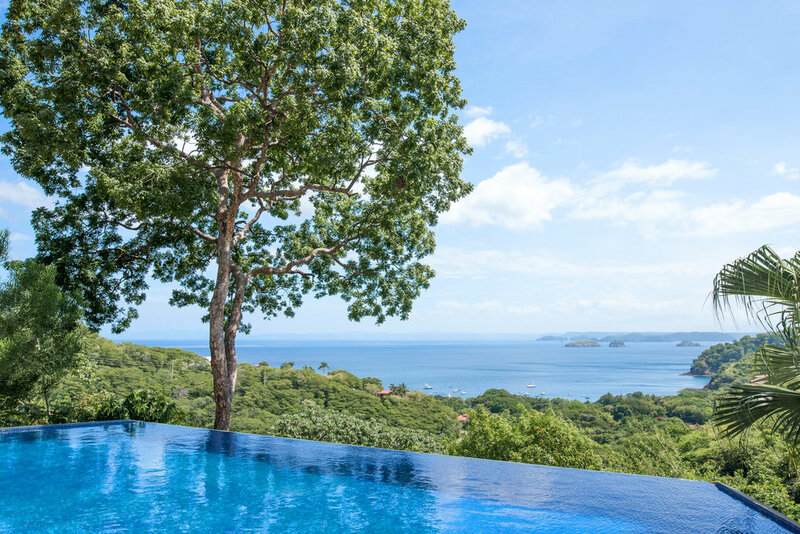 There is a main covered terrace at ground level where meals can be served near the infinity edge pool. 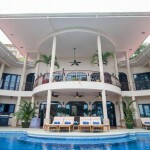 There is also a large deck just below the pool, ideal for private outdoor living. 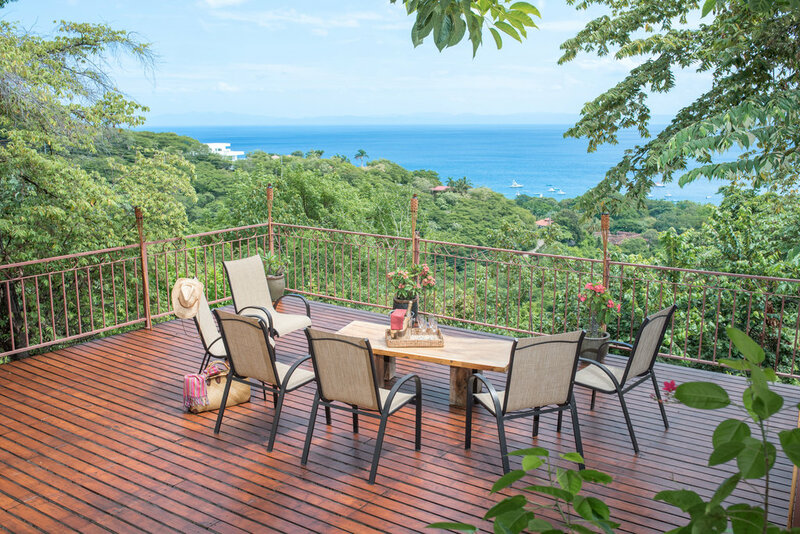 Here, one can sun bathe on the wooden deck built above the ground for complete privacy. 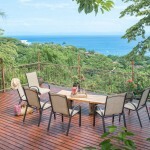 One can also enjoy a refreshing cocktail, while being massaged in the peaceful scenery of the surrounding forest and ocean view.